Actually about a young girl called Kirby Greenland, I Am Not Esther follows her story as she’s left by her mother to go live with her estranged brother and his family, who are all members of closed of Amish-esque religious community. Much to Kirby’s dismay and despite her understandable anger, she’s quickly inducted into the cult, forced to cut ties with everything she’s known and loved, including her own name. 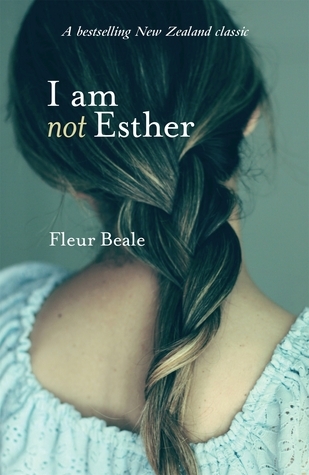 She’s branded as Esther and is expected to live her life serving God and the golden rules of her strict new family and their church 'The Children Of The Faith'. Normally female protagonists in such situations like this would lay low for a while before pushing for rebellion, but Kirby is a fighter, both emotionally and physically, even when she starts feeling sympathy and love towards her new family she still manages to stand her ground as she grapples with her old identity and new way of life. She’s conflicted at times, often feeling intense anger towards the mother who left her behind but her resilient nature means she’s built to weather the storm. As expected the book rests heavily on themes about religion and obligation, and it was really interesting seeing this portrayed through Kirby’s eyes. It would been easy for Beale to easily paint Kirby’s new family and the book itself as ‘anti-Christian’, but I was surprised to see how the emphasis was more pinned on the issues surrounding how people are influenced into a certain way of life. Overall, a really great book - and one of the first I’ve read set in New Zealand! - definitely one for younger YA fans but could prove a great introduction for them to start diving into serious societal issues. Sidenote! I was sent this book as part of fellow BB Team Member Anjali's Travelling Novel project. If you're interested in me passing the book onto you, ping me a tweet @RCagz!